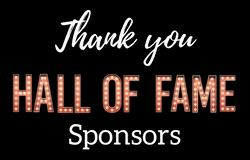 Each year, about 7% of the district's graduating seniors are voted on by their high school teachers based on integrity, leadership, school spirit and positive attitude to be honored as a Hall of Fame Student. Students are then asked to select an educator who has made a significant impact on their academic career. All honorees are invited to a banquet where several students share their essays about their honored educators.